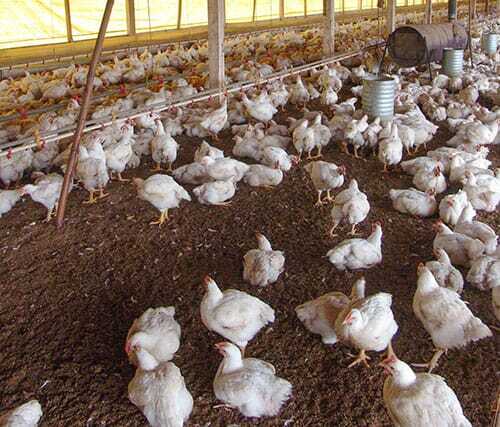 Bedding is one of the most important but yet often overlooked parts of poultry production. Cost is a factor in choosing an alternative to the pine shaving bedding shown here, as the cost of pine shavings is increasing while the availability is decreasing in some production areas. During the 2015 Midwest Poultry Federation Convention in St Paul, Minnesota, US, Jon Moyle PhD, Poultry Specialist at the University of Maryland, presented information on alternative bedding. Another important factor to consider is litter depth. Initially the depth should be 3 inches or more; however, most litter will settle once birds are placed in the house. Therefore it is important to consider the type of litter and how much it will settle when placing bedding. The moisture content of the bedding needs to be low (<20 per cent) as wet litter is hard to dry prior to the arrival of the chicks. Traditionally, pine shavings have been the bedding of choice because of performance, availability, and cost. So why use alternative beddings? Cost - the cost of pine shavings is increasing while the availability is decreasing in some production areas. Additionally, the cost and logistics of transporting pine shavings can be a limiting factor. Sustainability - concerns about sustainability are increasing and alternative beddings can help as they use recycled products or by-products of other industries. Grasses, including native switchgrass, can produce large amounts of biomass yearly and can be grown on marginal land or in buffer areas around agricultural fields. When they are grown in buffers, grasses help reduce/prevent nutrients from entering watersheds and help improve water quality. When properly prepared switchgrass makes a good bedding alternative. While shown to be effective in single flock trials, research needs to be done to determine grasses’ ability to function in the production systems where growers can go for years between cleanouts. Therefore, Dr Moyle and his colleagues set out to evaluate the feasibility of using switchgrass as an alternative bedding material in commercial production houses that have multiple grow-outs between cleanouts. Additionally, they looked at management practices needed to work with switchgrass litter. 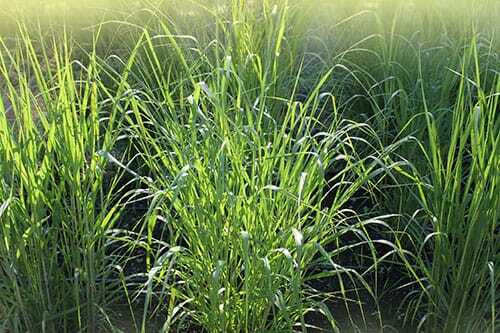 The first obstacle that needed to be overcome was transforming the switchgrass into a more suitable form. They first tried using a tube grinder that is commonly found on dairies and beef feedlots. While the overall results were good, there was still a lot of long strands of switchgrass that can increase caking of litter in the house. Next they used a rotary chopper and evaluated a couple of different sizes of grinds. While the 0.75 inch grind produced the best product, the rate of production was too slow to be economical. When they moved to using a 1.25 inch grind, we still maintained a good product while increasing the grinding rate to a more economical speed. Management of the grinding process is the key. The researchers suggest windrowing after the first two flocks. Dr Moyle said they have placed switchgrass bedding in a total of five different farms; however, due to problems beyond their control, the data from two farms was not collected. The remaining three farms have switchgrass in 13 houses and data was collected on nine flocks. The mean weight for all flocks was 8.53 lbs. for the pine shavings and 8.45 lbs. for switchgrass. Livability was 94.31 per cent for pine shavings and 94.81 per cent for switchgrass. Finally, feed conversion was 2.01 for pine shavings and 1.98 for switchgrass. None of these results were significantly different at P<0.05. The researchers concluded that alternative bedding can be a sustainable alternative to pine shavings when processed and managed correctly.